Lawyers acting for British hacker Gary McKinnon have said they will turn to the Home Secretary if they fail to successfully battle his extradition in the Court of Appeal. They have also argued that US attempts to get McKinnon to accept a plea bargain are unlawful. The McKinnon legal team has tried to highlight flaws in the US case in order to prevent the extradition. They claim McKinnon's case should be referred back to Home Secretary John Reid, or even to the European Court of Human Rights, if the Court does not reject the extradition. Usually the Court of Appeal will only make a verdict for or against the subject of the case - referral is rare. "The Secretary of State has an inherent discretion to consider someone's human rights under the new Extradition Act," Karen Todner, McKinnon's solicitor, told Out-Law.com . "We are now going to go back to the Secretary of State and ask him to reconsider his position in relation to Gary." If the appeal fails, Todner is hoping the Home Secretary will be willing to reject the court's findings on the basis of the alleged human rights abuse. This accusation has surfaced because of threats allegedly made after a plea bargain was offered by the US prosecution. McKinnon's lawyers have now said he was offered a plea bargain in 2003 by US prosecutors - a reduced sentence in return for co-operation. However, the deal was still a sentence 'of three years or less', and McKinnon would have to serve the sentence in the US rather than the UK as he had hoped. In the Court of Appeal, McKinnon's legal team told the court that the US prosecutors had allegedly threatened the defendant that if he did not agree to the bargain, he would be "turned over to New Jersey authorities to see him fry". Some commentators have seen this statement as a 'death threat', though New Jersey has not executed anyone in 20 years. European laws dictate McKinnon should not be extradited if there is any risk of execution. McKinnon's team also said the US prosecutors had said that if he did not agree to the bargain, there was no way he would be able to serve his sentence in the UK. 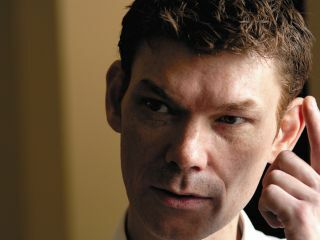 Gary McKinnon raided NASA 's website and several US military sites during 2001 and 2002. He broke in using default passwords. The hacker has admitted the offences but aims to stand trial in the UK. Home Secretary Reid originally signed the extradition order last year after a successful application by the US authorities.